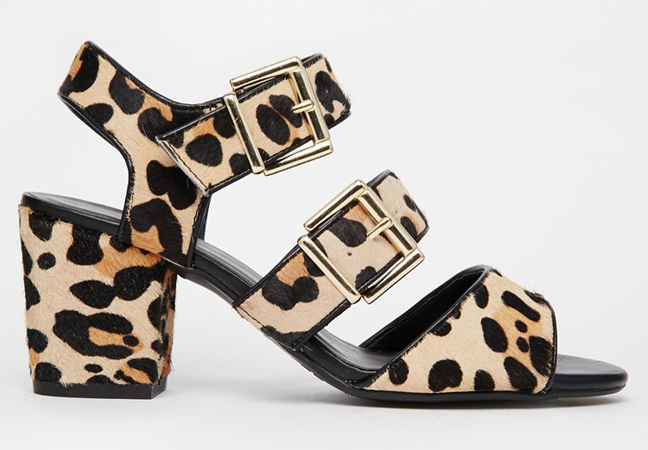 They’re leopard, they’re chunky, they’ll go with everything AND they’re under $100! Need I say more? 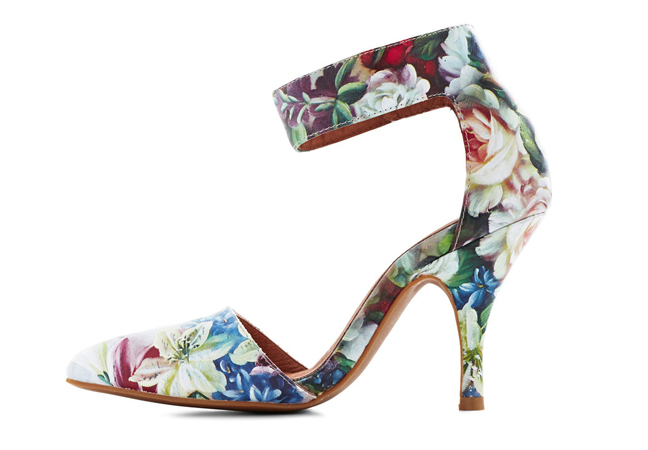 A classic silhouette along with time honored print, these pumps will make every co-worker jealous. The low-contrast and muted color palette will keep your work outfit feeling fresh without compromising on professionalism. These are a must have for the corporate girl! Okay, these are definitely a lot pricier than most items I post, but if you are in the mood to splurge, get it girl! 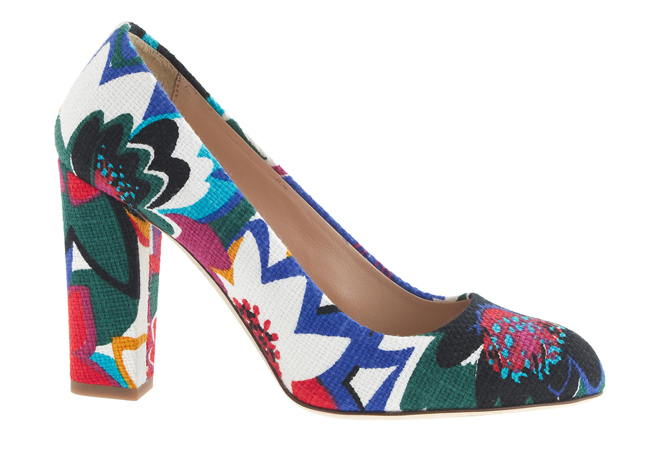 This is the perfect shoe for spring, especially if you enjoy funkier, vintage inspired patterns like I do. The color palette means you can wear them with anything. The silhouette is beautiful. A chunkier heel means they will be comfortable during those long summer nights and they’re J. Crew. 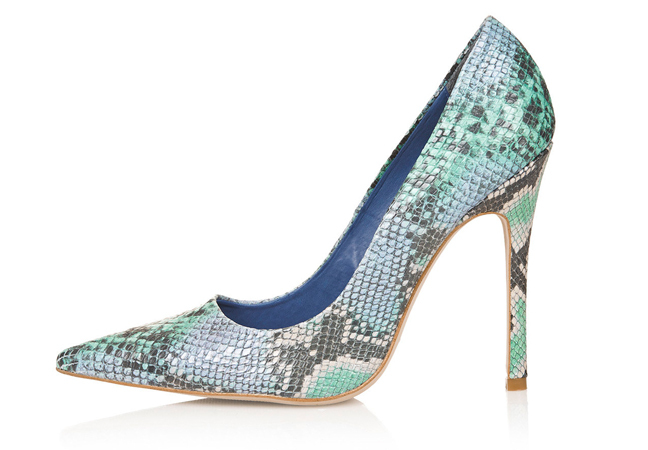 So basically, meet your dream shoe… you’re welcome. These. Shoes. Everything about them is just pretty. Definitely buy these shoes if you’re someone who frequents garden parties, spring weddings, baby showers… fairytale castles. Or just buy them. You won’t regret it. Just imagine how they will look with all of those spring yellows! Spring doesn’t have to be all about bright colors. Pledge your soul to the monochromatic with these platform sandals. The polka-dot pattern adds a sweet and girly touch to the edgier silhouette, so they will go with any outfit. Imagine how adorable these would look with a cute little sundress?